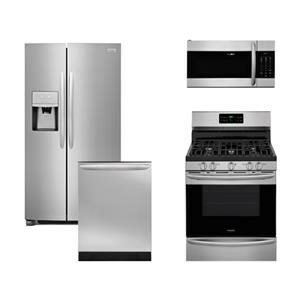 The Frigidaire Gallery Gas Range Kitchen Package PKG - 1161Q by Frigidaire at Colder's Furniture and Appliance in the Milwaukee, West Allis, Oak Creek, Delafield, Grafton, and Waukesha, WI area. Product availability may vary. Contact us for the most current availability on this product. 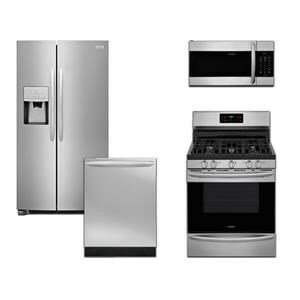 65-378-368 Gallery 24" Built-In Dishwasher 1 24" 25" 35"
64-378-287 Gallery 1.7 Cu. Ft. Over-The-Range Microwave 1 29.875" 15.0313" 16.4063"
63-378-681 30" Gas Range 1 0" 0" 0"
58-378-245 26.8 Cu. 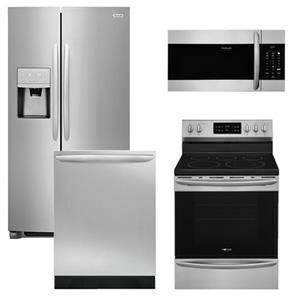 Ft. French Door Refrigerator 1 36" 33.375" 69.875"
Browse other items in the Frigidaire Gallery Gas Range Kitchen Package collection from Colder's Furniture and Appliance in the Milwaukee, West Allis, Oak Creek, Delafield, Grafton, and Waukesha, WI area.